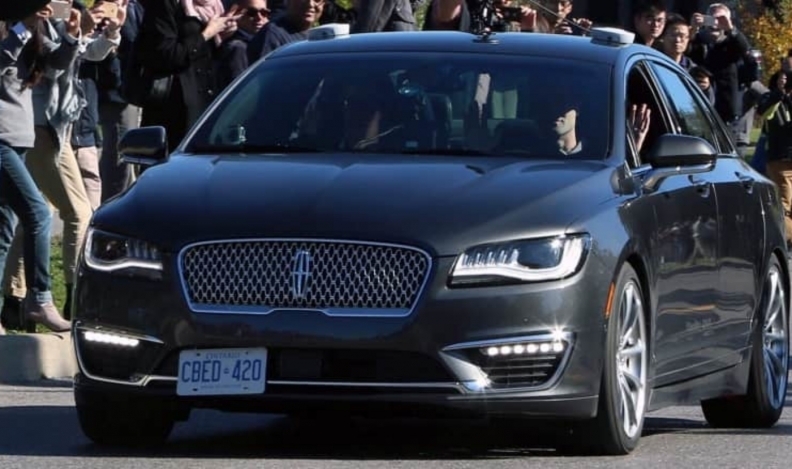 BlackBerry QNX launched testing of a self-driving car in October in what was billed as the first on-street test of an autonomous vehicle in Canada after opening an innovation centre in late 2016. BlackBerry Inc.'s strength in security, privacy and interconnectivity will enable it to be a major player in the emerging market for self-driving and connected cars — but it may take a decade for them to become common, BlackBerry chairman and CEO John Chen told shareholders Wednesday. The company from Waterloo, Ont., has evolved into primarily a software and service company since Chen joined in late 2013. It is now working with a host of automotive parts makers, semiconductor developers and big name auto companies, including Ford Motors and Jaguar Land Rover. But Chen said fully autonomous vehicles, guided by wireless networks, will probably remain a rarity for some time to come because of the complex task of developing the technology but also due to the necessary public policies. "Let's say [in] 2021, you're not going to see a lot of them — if there are any," Chen said. "My speculation: 10 years [from now] is probably closer to the truth than three years." The company is involved in discussions about setting safety standards for Canada and the United States and noted that China, Japan and the European Union will also have their own rules. Hopefully, he said, there will be a global set of standards — not like now where some of world drives on the right and some on the left side the road and some electricity grids use 110-volts and others use 220-volts. "This is in the hands of the politicians, not the technology providers. But we will definitely put our words in." A Canadian Senate committee warned in a report earlier this year that departments and levels of government are taking contradictory approaches to automated vehicles and the federal government needs to better co-ordinate action. In the United States, the federal government has voluntary guidelines for companies that want to test autonomous vehicles, leaving much of the regulation up to states. Chen said that, for now, BlackBerry's major revenue source from the automotive sector is through infotainment systems using software from its QNX division. An even bigger source of revenue for the company is its secure software for enterprise customers, while whatever revenue it receives from smartphones comes through licensing agreements. BlackBerry held its annual meeting two days before releasing financial results for the first quarter of fiscal 2019, which began March 1. Analysts estimate BlackBerry's revenue will drop nearly 15 per cent from a year earlier and fall almost 13 per cent from the fourth quarter of fiscal 2018. Revenue is expected to begin rising in each of the following quarters this year, according to estimates from Thomson Reuters Eikon. Chen was hired in November 2013 to turn around the company, a pioneer of the smartphone industry that was muscled aside by Apple Inc. and other smartphone makers using the Android operating system. A five-year contract for Chen, announced in March, was approved without comment at the meeting Wednesday. The contract, which runs to November 2023, is weighted toward long-term performance-based equity and cash awards, in addition to a time-based equity award. Shareholders didn't vote directly on Chen's contract but they did approve the board of director's compensation policy by a majority, with no questions raised during the hour-long meeting at the BlackBerry campus in Waterloo. Chen could be paid a US$90 million bonus if the company's 10-day average stock price at the New York Stock Exchange hits US$30 per share before Nov. 3, 2023 — more than double its 2018 high this year. He can also earn five million performance equity units, in five equal instalments, if BlackBerry's stock price hits price targets rising annually from US$16 in fiscal 2019 to US$20. He'll also get five million time units if he stays through 2023. For the financial year ended Feb. 28, Chen received about US$3 million in total compensation, which included a US$1 million in base salary and US$2 million under a non-equity incentive plan. Total compensation was about the same as in fiscal 2017 and 2016 but those years included $2 million in share-based awards on top of the $1 million base salary.